We are a family run business formed in 2007, based in Hastings, East Sussex, covering all the surrounding areas of Bexhill, Rye, Battle, Eastbourne and all of East Sussex. Of course we will happily travel further to ensure you get the best available, just contact us and we will make arrangements with you. We are able to offer our customers a far ranging choice of different types of stone including Marble, Granite, Limestone, Travertine, Slate, Yorkstone, Portland sandstone, Silestone, Carenstone, and Quartz. Our highly skilled team of stonemasons are here to offer you a very high standard of service, workmanship and after service care. We pride ourselves on being the very best at what we do, so whether you require kitchen worktop, bathroom vanity, shower trays, shower panels, tiles, a new fireplace in various stones, coping stones, new stone walls or even a head stone for a lost loved one, we are here to help in all aspects. 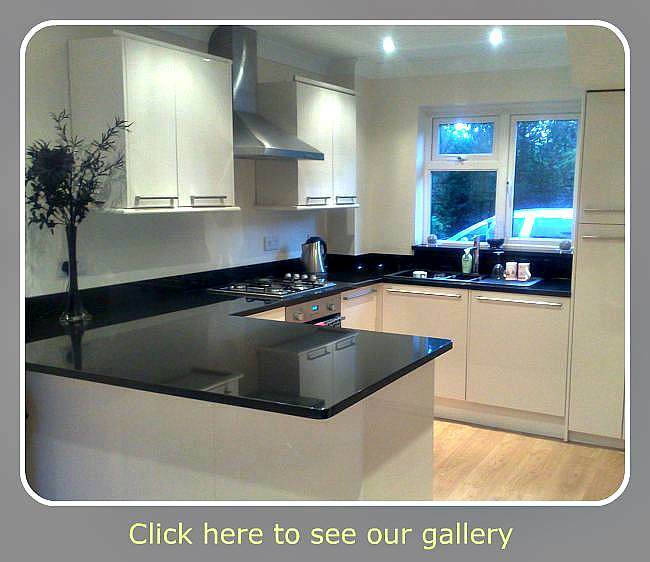 At Granite Worktops Sussex we offer the full service for all your stone needs. All of our staff are able to carry out any task from estimating, templating, fabrication of material fitting and hand letter cutting. We also offer a sand blasting service for memorials. See more about us and how we aim to provide you with the best service and quality available. For further information please give us a call.